이 책은 저자인 문화영 선생님이 명상 아루이 수선재에서 제자들과 나눈 우주에 관한 문답식 대화를 엮은 것이다. 저자는 오랜 기간의 명상을 통해 얻은 지혜로 우주에 관한 근본적인 질문과 인간의 삶에 관한 해답을 시원하게 제시한다. 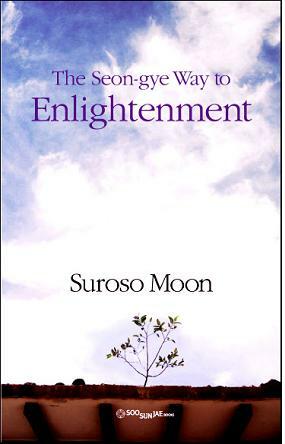 This is book contains the dialogues between Master Suroso Moon and the Soosunjae trainees about meditation and the universe. It offers refreshingly new answers about life and fundamental questions about the universe through the wisdom the writer obtained through long periods of meditation. 책 속에는 우주를 다스리는 중심(선계, 우주의 정점)은 어디인지, 선계에 가기위한 방법은 무엇인지, 몸과 마음은 어떻게 다스려야 하는지, 고대 인류가 사용하던 피라미드는 무엇인지, 단전호흡법, 인간이 태어나는 원리, 밥이 왜 안 먹어주느냐고 말했다는 이야기, 인생을 드라마처럼 아름답게 가꾸라는 것, 인간관계에 관한 이야기 등 인간이 알고자 하는 삶의 다채로운 주제가 간결하고 쉬운 언어로 펼쳐진다. The Seon-gye Way to Enlightenment is a comfortable read and it explains simply many colorful subjects on life, stories about human relationships, how life is a drama, the true function of food, the reason why people are born, Dan-jeon breathing, how ancient people used the pyramids, how to control body and mind, how to reach the highest levels of the universe, and where is the center place at the top of the universe that is governing the universe -Seon-gye. 하루하루를 어디로 가는지도 모르게 밀려서, 끌려서 ‘살아질’ 수밖에 없는 일반인들로서는 한번 읽어보는 것만으로도 속 시원하게 눈앞이 트이는 것을 느낄 수 있을 것이다. For those who are living life day in and day out not knowing where you are going, why you are being pushed along and pulled along, by reading this book you will be able to feel a refreshing realization inside yourself. Suroso Moon A beloved spiritual teacher, Master Moon lives together with the stars, wind and all of nature at the Soosunjae retreat center in Jin-cheon, central S. Korea, where the sky is so close it could be touched. Compassionate and humble, Master Moon guides the trainees who come here to learn about meditation, and especially Dan-jeon breathing, the fundamental form of breathing.Master Moon worked for the National Assembly and the Korean Red Cross, and as a founding member of Korean Women's Development Institute she engaged in projects for international relations as the leading researcher. walked the road of a successful career woman. after suddenly beginning meditation and Dan-jeon breathing, she discovered an eternal value that cannot be compared with success as defined by society. devoted herself to emptying the mind of everything through meditation.She switched courses toward writing, and after gaining success as a play-write, she debuted as a drama writer for the Korean Broadcasting System. She was active as a drama writer for radio, writing such successes as "The Documentary of an Independence Fighter" and "The Behind Story of Korean Diplomats." The vast wealth of her experiences has led to Master Moon founding SoosunjaeMediation seven years ago. This form of meditation illustrates very clearly the necessary steps one needs to take to reach one's spiritual home. Master Moon provides fundamental principles and spiritualguidance on an individual basis. Seon-do Practice is one of the oldest forms of meditation and spiritual practices involving breathing techniques. A key component of these techniques has been channeled through Master Moon's enhancements, now called Seon-gye Practice. Soosunjae, also known as Seon Meditation, has been proliferated thought the western world at over 10 centers internationally, and at over 50 centers locally. Meditation retreats, such as theone described above are now available in S. Korea, and offer visitors at minimum, a week-long stay practicing the art of Seon-gye Meditation. For additional information, visit www.soosunjae.co.kr or www.soosunjae.co.za.